As a glasses wearer, I am always on the hunt for the chicest pair of specs. And, as the biggest hoarder of sunglasses known to man, as soon as the sun shines, I’m on the case looking for the most brilliant new sunglasses styles to adorn my face with. 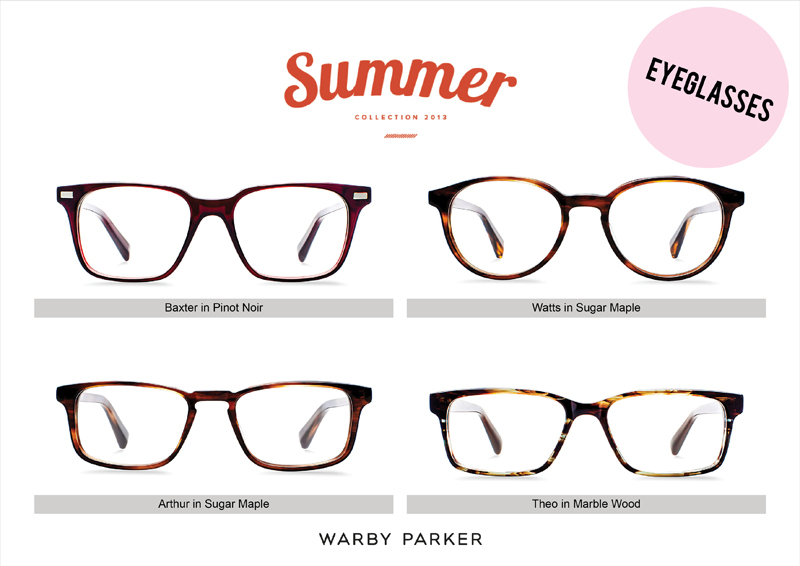 So, you can imagine my delight when an email from chic spectacle maker Warby Parker dropped into my inbox. Their Summer collection launches today, and boy oh boy, do they have some great sunglasses styles to see through through the sunny months and gorgeous new eyeglass shapes to get your hands on. My favourites? 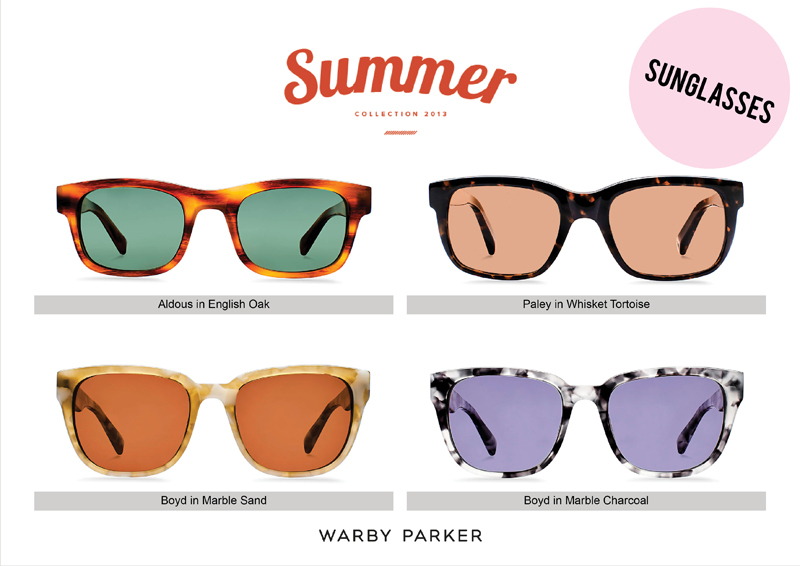 Check these out and head over to Warby Parker to see the full collection. Warby Parker also run a fantastic initiative whereby if you buy a pair of glasses, they give a pair to someone in need. 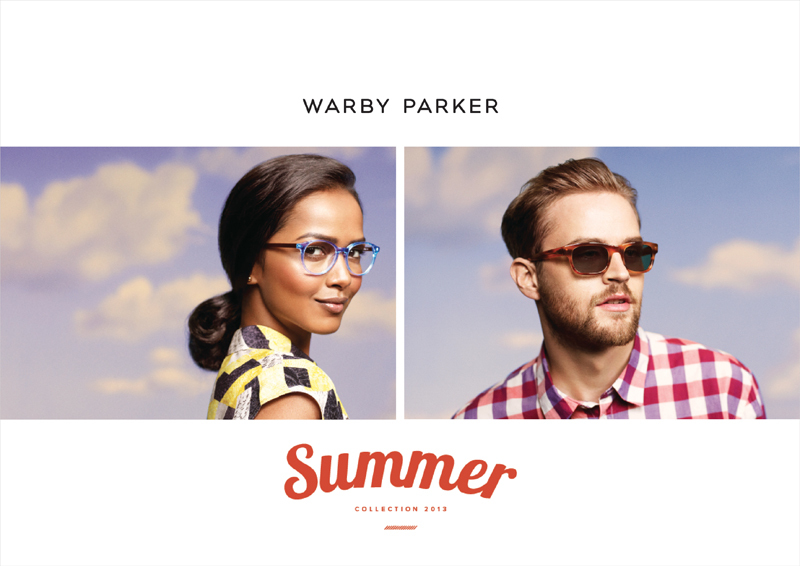 Head over to WarbyParker.com to find out more about Buy a Pair, Give a Pair.